XBD type vertical fire-fighting pumps are new generation products developed based on the requirement of fire fighting feed pump stipulated in the “Fireproof Code of Civil Construction Design” and “Fireproof Code of High Civil Building”. XBD type vertical fire-fighting pumps are new generation products developed based on the requirement of fire fighting feed pump stipulated in the “Fireproof Code of Civil Construction Design” and “Fireproof Code of High Civil Building”. The outstanding design gives DLX type pumps more applicable and advanced and makes them as first choosing products for the feeding equipment of fixed fire fighting system used in industrial and civil construction. The outline dimension of pump is very small. 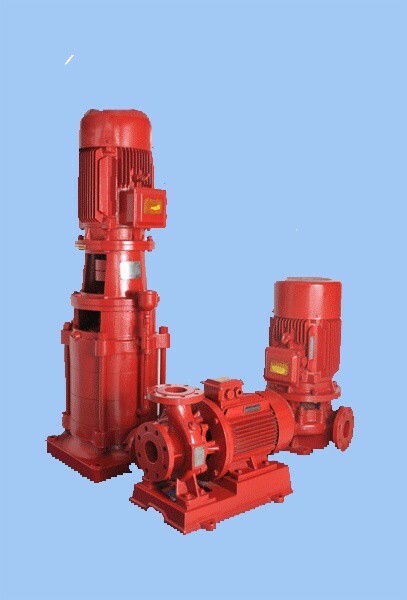 Due to the vertical structure of pump, the pump occupies very small land. 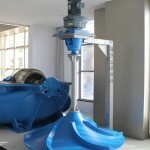 The height of integrated pump is very small (only is half of the height of DL vertical multistage pump). The operation of pump is reliable and the pumps can be installed in the underground pump house whose elevation is very low, so the commercial utilization rate of civil construction area can be improved and the owners can get high profit rate from their investment. All these bring great convenience to the mounting, commissioning, maintenance and inspection of pump. The curve of flow-head is flat. When the flow capacity varies greatly, the variation of head is still small; the effect of constant pressure can be achieved without the frequency converter. It effectively solve the overpressure problem caused by small flow during the fire-fighting water supply and ensure the safe running of fire-fighting system. XBD 4 / 15 – DLX XBD- Type of pump 4- Press 15- Flow capacity of pump DLX- Company designation The impeller ring and seal ring made of the copper alloy wouldn’t rust and stick together. Due to single stage impeller, the moving friction is very small, so the running of pump is more reliable, the pump can be ready for fire- fighting. 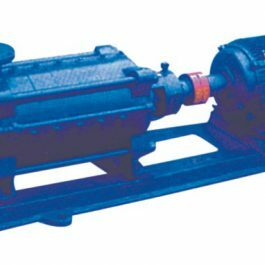 The extending motor shaft directly drives the impeller, the coaxility is good and the running of pump is stable, the special designed motor reduces the noise of running. 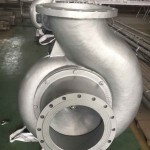 The discharge direction of pump can be arranged at 0°,90°,180°and 270°corresponding to the inlet of pump, so it is convenient to lay-out design of pump and pipeline. 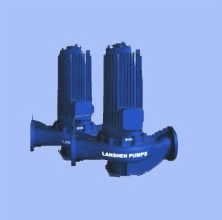 According to the design requirement, the pumps with double discharges can be provided. 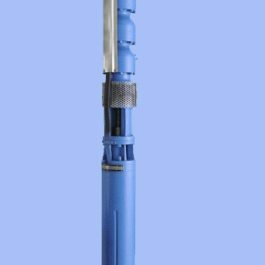 Single pump can achieve the distribution water supply for high building. The high quality mechanical seal and the imported bearing can ensure the reliable running of pump and extend the service life of pump. The fixed fire-fighting system used in industrial and civil construction. It is used for the fire hydrant system, the automatic showering system and water supply in the water spraying system. It also can be applied in the occasions required the constant pressure water supply such as the fixed pressure feeding water for boiler, the municipal engineering and the industrial flow process etc.